The Division 2 is coming, but before you get your hands on the full game there are beta tests. The private beta starts on the 7th of February and lasts until the 11th. You can read all about the beta here and get all knowledged up. We’ll be dipping in to the beta too, and we’re excited to get our hands on some post apocalyptic Washington action. We know a little about what the beta contains, but there’s still a lot of questions about the full game content. One of the criticisms over the original Division was that despite being functionally better, loot was rarely that exciting. You’d battle through hell for a reward, and that reward would be a…better pair of jeans. It fits with the theme, but there must be something that can spice that up. We’re not saying ‘go full Destiny’ but there must be a middle ground between realistic loot that fits in with the atmosphere and magic space trousers. Something that was lost in the reaction to the original Division was that, at its heart, it was an RPG. Yes you shoot things, but there’s loot, there’s damage numbers, there’s classes. 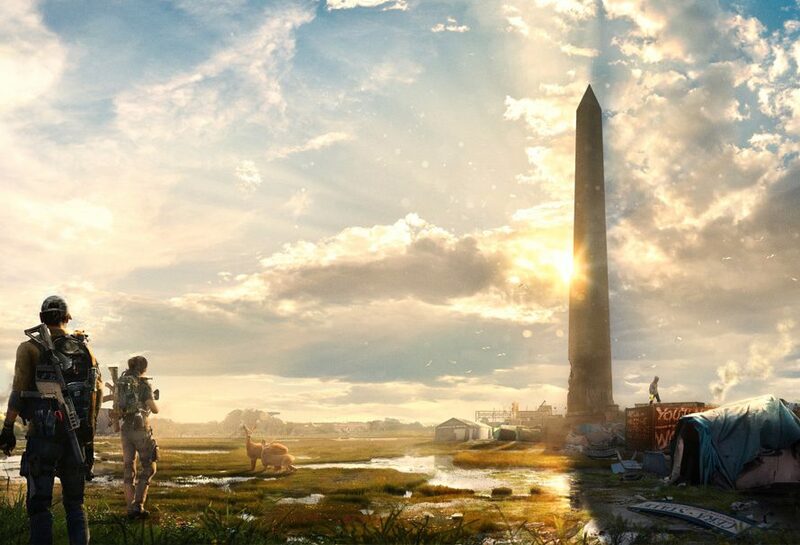 It’s an RPG, and we think that The Division 2 should embrace that. It would ameliorate some of the criticisms levied at the original game. Bullet sponge enemies? You just need to think tactically. Change things up. Don’t just rely on outright damage. Treat it like an RPG in other words. It’s nice to have a bit of context, isn’t it? Something can be all the fun in the world, but without a reason to be doing it, it loses something. Giving you plot reasons or an advancing story that propels you into the various activities in The Division 2 will mean you’ll stick with it that much longer. It’s all about interest, and for some just the activity and the loot is enough, but for some of us we need a little more. Give us a reason to care, and we’ll be there. The Dark Zone idea for The Division was great. Unfortunately in practice it became a little rote. This meant that people got into ruts and more than that, it almost encouraged you away from indulging in PvP. We’d like to see Dark Zones revamped, which they are, with more reason for you to actually do PvP. It’s not enough just to be in a Dark Zone and come away with loot. There’s got to be a reason for you to want to dive into PvP. As a result we’d like to see Dark Zones in particular given real focus in The Division 2. A disease ravages the population of the world. It’s a disease that’s spread by contact with money. And so begins the world of The Division. We’d like to see the antagonist in The Division 2 be money. It’s money’s fault after all, in a non capitalist economy maybe the disease wouldn’t have spread like it did. Rise up, tear the resources you slave over away from those in power. Burn all money, that foul material that only exists to commoditise your time and effort. Bring the system down. Tear power away from those who hoard it and distribute it to the people. Uh, in the game that is. Please buy The Division 2 from Green Man Gaming, available here.